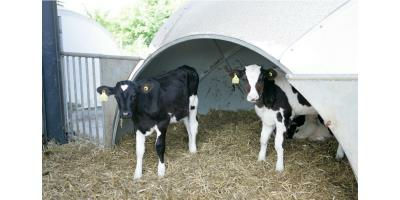 Natural-climate outdoor housing is ideal for calves, and the H&L Igloo is the perfect solution. But the igloo is not complete until it is combined with a roofed exercise area. Whether with a fixed roof or mobile one in the form of the Igloo Veranda, the calves always benefit from optimal access to fresh air while having shelter from inclement weather at the same time. And it is not only the calves that appreciate the protected work environment, you, your employees and family will, too. In addition, feed stocks and bedding remain dry. Mobility means flexibility, which is not only a benefit of the Igloo Veranda when it comes to mucking out, but also advantageous if you expand your farm, since the calf housing can be easily relocated. Check out the advantages of this innovative and affordable concept. Entmisten von Kälberställen für 56 Kälber in 1 Stunde und 46 Minuten. Die H&L Iglu-Veranda schafft ungeahnte Freiräume! 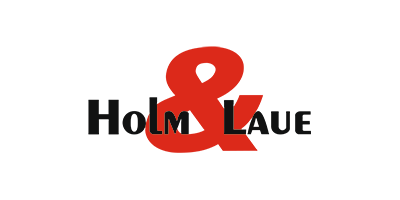 Beliebige Anordnung der Räder ermöglicht einfaches Versetzen der H&L Iglu-Veranda in 4 verschiedenen Richtungen. Hierbei bleiben die Kälber eingesperrt und wandern so an ihren neuen „Wohnort". Auf diese Weise wird immer ein sauberer neuer Standort bezogen, der nicht mit Keimen vorbelastet ist. No reviews were found for Igloo Veranda - Natural Climate Outdoor Housing. Be the first to review!